Season to season one of my favorite shows in Milan, this year especially, FENDI SS19 collection definitely left a lasting impression. I absolutely loved the beautiful color palette of creams, caramels, burgundies and oranges, masculine-inspired silhouettes that still felt incredibly feminine, and beautiful accessories like waist-sinching belts, touches of PVC and a classic FENDI baguette bag in a new oversized shape. A dream from start to finish, this collection in particular, resonated with me on every possible level. Speaking of favorites, the outhit I wore to the show includes more than a few of my current obsessions. 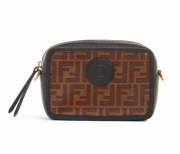 Aside from the fact that I have a new found appreciation for the black/white/yellow color combo ( you’ll see this combination making multiple appearances in the next few weeks ), I love the new FENDI mini camera bag in the classic FF print in tones of browns. This bold print wears as a neutral yet never fails to make a statement and add a touch of interest to an outfit. 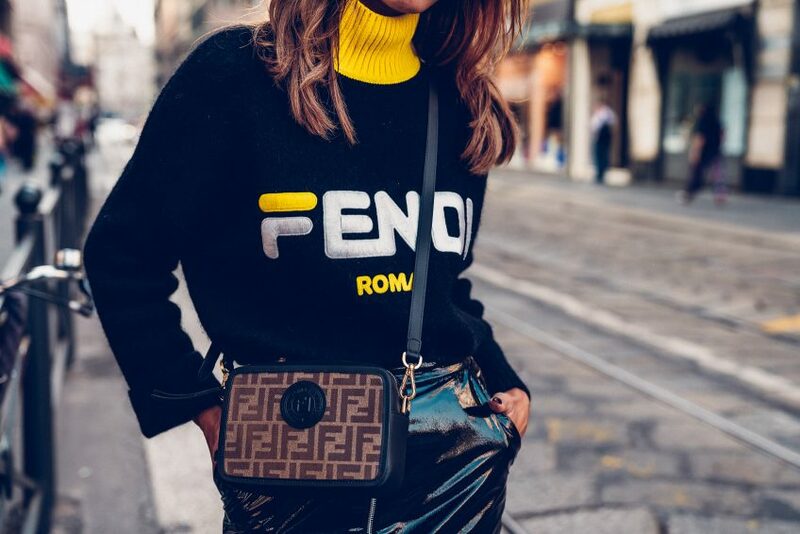 Another obsession is this FENDI oversized sweater. Bold and sporty, I love the way it works with everyday essentials like denim for example, yet it pairs just as well with dressier bottom options. For today’s look I chose to wear it with black to keep it as a focal point of the outfit, but it looks just as cool paired with bolder, brighter colors. Basically, the styling options are limitless, and of course you know how much I love that! look is absolutely stunning, love that leather skirt. So chic and gorgeous beautiful … love ♥️ the look! 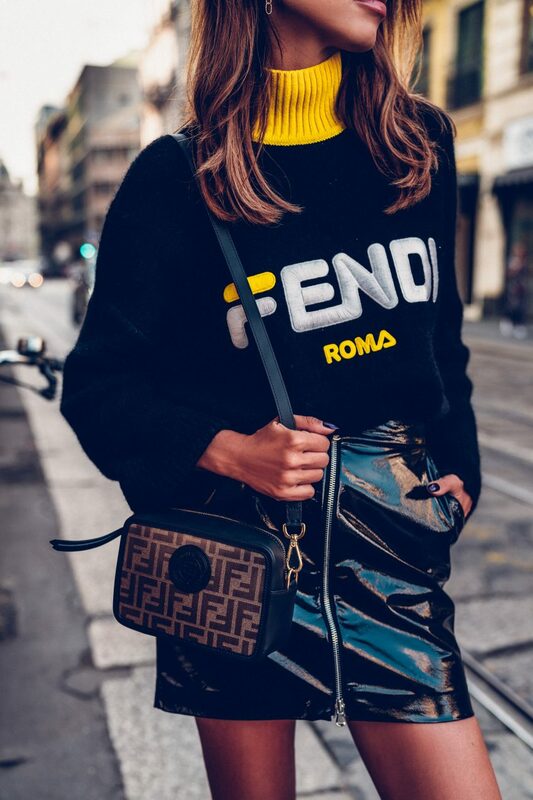 In love with that Fendi bag! Love this styling on you! The bag is so cute! that fendi jumper is so cute! 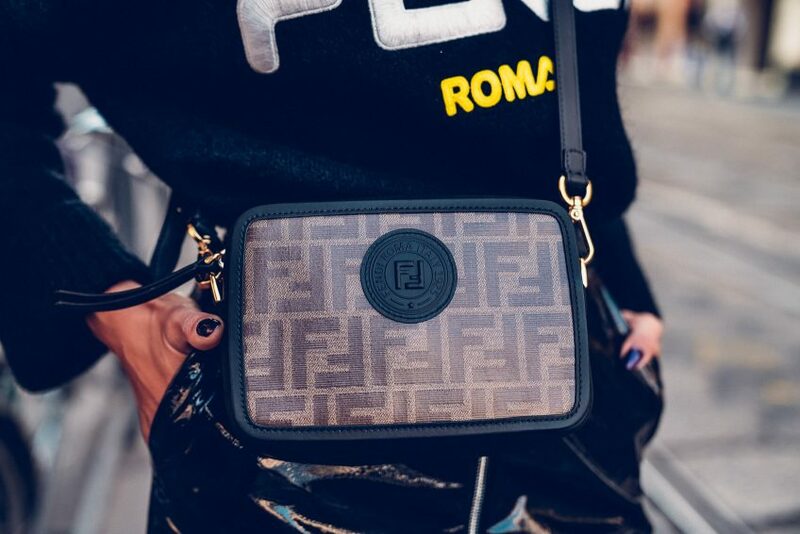 I love the fendi camerA bag so much! This is amazing; finally at last, here is a solution for all; find [hackerlounge . net] online via your browsers URL box; best viewed on a desktop or through your PC. Really the best. Oh my God, what a beautiful sweater. I love it very much. The combination of yellow/gold color with black is my favorite one.